If the term “landscape design” makes you think of wide expanses of lawn, large flower beds, and wooded corners of bigger lots, we want you to know that landscape design can work well for a small yard, too. As a matter of fact, due to limited space, having a good overall plan for your outdoor areas can not only help to make your yard look bigger but also incorporate features you may have thought only belonged on big lots. If you’ve got a small lot such as those common in urban areas or closely-structured developments, don’t despair of having your own outdoor paradise. 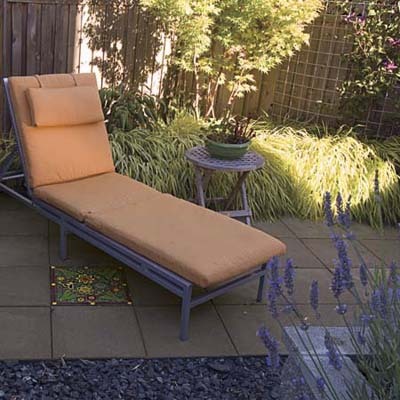 Check out this Photo Gallery from This Old House and see how one enterprising homeowner got creative and turned her tiny back yard into a lush retreat. In an area approximately 50′ square she found room for two patios, a deck, and raised beds, a trellis, and even a fountain. She also cut down on yard maintenance by completely eliminating the lawn and choosing to use gravel and pavers instead. While all of the touches she added may not work for you, perhaps you’ll find some features that would be right at home in your own small yard. Tiny spaces often provide challenges for landscaping, but that’s where a creative landscape designer can really help you convert your space into a natural, refreshing retreat.